The walk along the tunnel towpath is a little over 3, 100 feet long and follows an uneven path with only a two-by-four barrier — in the darkness. It was the middle of a picnic and hiking adventure in the middle of our weekend camping trip with friends and that tunnel had the great power to nearly bring me to my knees (somewhat literally, too) as well as boost me back up to a place of positivity and hope in a moment of cathartic epiphanies. That tunnel became a slap in the face as an analogy to the world of special needs. 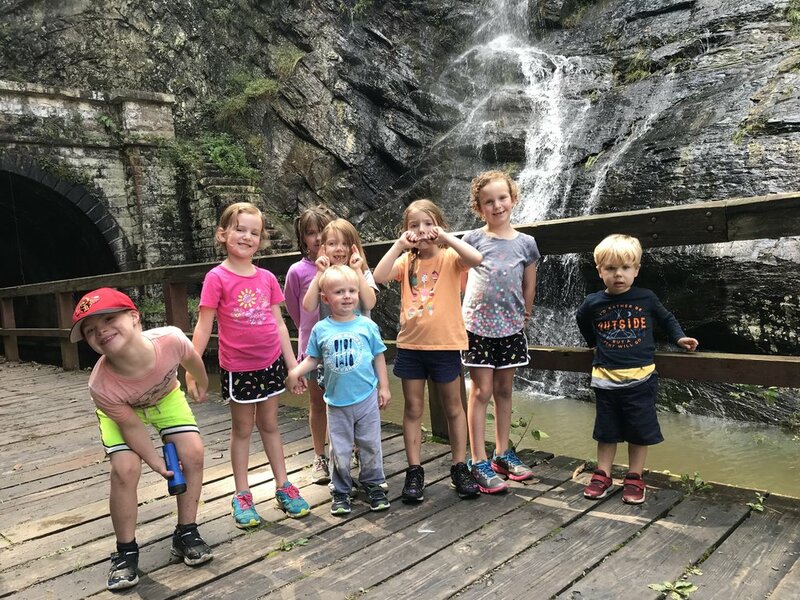 Our three families (8 kiddos and 6 adults who have become inexplicably close both in the children’s friendships and adult’s supportive circles over the past year) were camping together for the second time this year — this time in western Maryland about 25 minutes from the Paw Paw Tunnel near the Virginia line and along the C&O Canal. 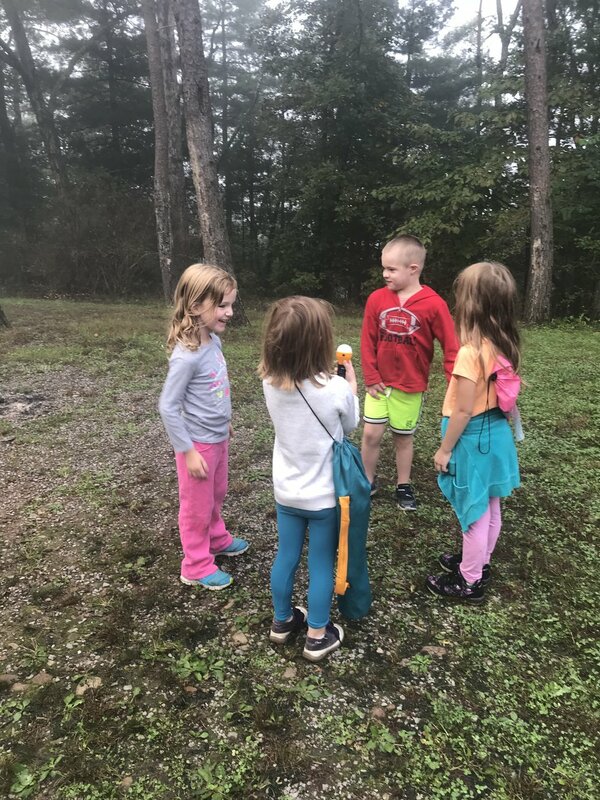 After the adults laughed and campfire-d their way to only four or five hours of sleep in a tent, we all enjoyed breakfast, got ready for the day, and set off on our hiking adventure. I had NO idea how Z-Man would react to walking in the dark (or walking for that long in general!). He’s the oldest of our group but not one of the kiddos with the greatest endurance. And his sensory issues are unpredictable at best — he’ll hold squiggly worms happily but freak out over some mud on his hands a minute later. He’ll yell if his sister sings too loudly in the next room but will embrace the cheering and clapping of a filled sports stadium. And so, we set off towards the tunnel. Hopeful, but prepared to detour if necessary. 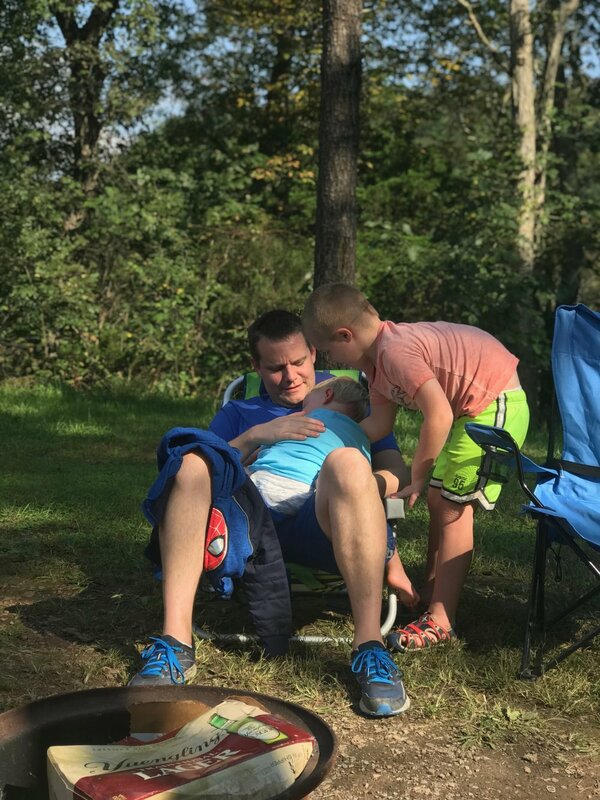 And yet — in the magic of the always-surprising world of being a special needs parent — Zachary LOVED it. He laughed, even when he tripped or stumbled into the stone wall on his right side. He sometimes held the flashlight and scanned the ceiling and the bricks surrounding him or flashed his light into the canal water near us. And, sometimes, he wanted me to hold the flashlight while he explored holes in the walls or pointed out ripples on the path. We were a slow duo, but we made it out happily, joining up with his sister and all our friends at the end to continue exploring near some waterfalls on the other side. When some muddy trails prompted our turn back around towards the tunnel, I was feeling pretty awesome. Zach was happy and smiling, climbing on rocks and joining the other kids as we walked towards that dark hole in the mountain. I even started out holding little sis’s hand, thinking he was content to explore in the crowd behind us. But then. A whimper. A “Momma, I need you” from behind me. My first approach is to always encourage independence and a pushing past of tiredness or stubbornness or fear (for me and my kids!). Quite quickly, though, Dad swooped in and continued with Addie while I knelt down and checked in on Z-Man. He was already crying. I held his hand and squeezed it tight, encouraging him to walk with me, but as the rest of our group continued forward, he was stuck in the spot, just a few yards inside the tunnel on our way back. 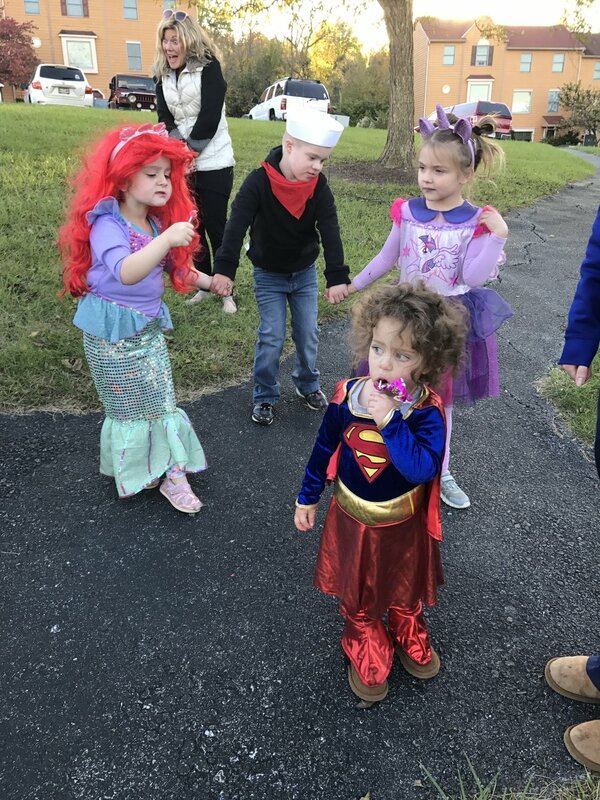 The here-are-things-not-going-according-to-plan panic started building up and the different-from-the-other-kids sadness welled up in my throat much quicker than I’d like to admit. In the midst of feeling pretty good, Zach’s unexpected and emotional stop hit me hard. Really hard. It was so dark in the tunnel that even though I could still hear the giggles of the other friends and the shouts of “echo” to bursts of laughter not far ahead, the dancing flashlight beams were getting smaller and the shadows of those 12 other people were getting harder to make out. I first tried to talk to him, asking him why he felt sad and asking him how I could help. All he could manage was a shaking of his head, hands clutching around my neck as I knelt down beside him feeling utterly helpless. I just gave love. A complicated question to ask me right now, sir, I thought to myself as I dripped with sweat even thought it was chilly inside the tunnel. My back ached. My hips swayed unreliably over the bumpy walkway. My bouncing flashlight barely brightened the path ahead of us. And so we continued. We continued when our group had already exited the tunnel and their laughter was barely heard. We continued in a quiet, bouncing saunter towards the other end. And something happened. To my soul or to our hold on each other. But with his hands around my neck and the occasional “I love you” being whispered, my tears stopped and a strange thing happened. And I thought how I was so very, very lucky to have this little guy to myself. (Even if he didn’t feel so little at the time, haha!). His need for me was wider than that tunnel and our love for each other was longer that that tunnel’s length. I don’t know why he was sad or why the return trip became so hard. Maybe he was tired. Maybe something scared him. Maybe his limit for the day had already been reached. But in 3,100 feet of darkness, I found my way to the bright sunny day outside. 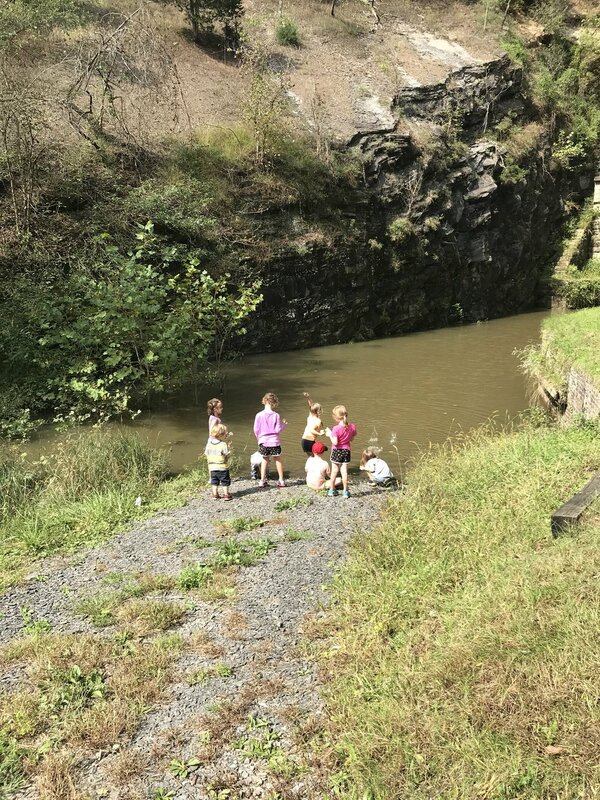 Within seconds, Zach ran to the edge of the water to throw stones with the other kids. He was fine. And I was OK, too. Our journey with Down syndrome isn’t one long journey. It’s a series of good days, bad days. It’s a mix of little journeys, little accomplishments, little lessons, that just seem to run into one another seamlessly and without explanation. 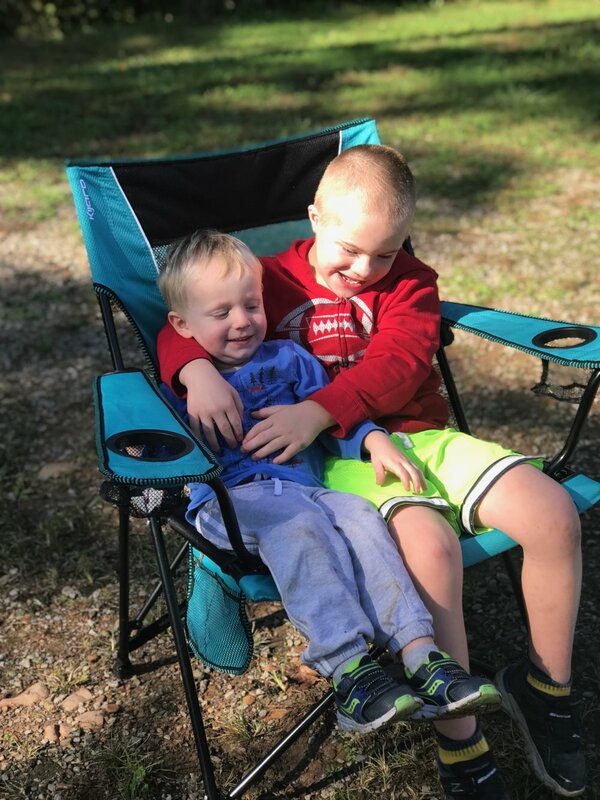 Our weekend continued without another blip on the radar and Zach was held firm inside group hugs and playground fun and imaginary games. Surrounded by kids who held him as their equal and loved him like a brother. The way they hug him, help him, talk to him - It’s bigger and more important than any darkness. I don’t have a blueprint for upcoming struggles; I don’t know when our next setback may be; I’m likely to underestimate him in something at least once this week. It’s the ugly reality and greatest frustration. And yet, I still feel like the luckiest momma in the world. Zach and Addie love me, need me, inspire me and continue to push me to walk under even the heaviest weight for whatever light I can just barely make out ahead. Because there is always a light. Even if it’s a tiptoeing beam on a brick wall in the dark. Follow it, dance with it, survive with it.